If you attended any of our events from 1993 through 1996, please let us know what you thought. 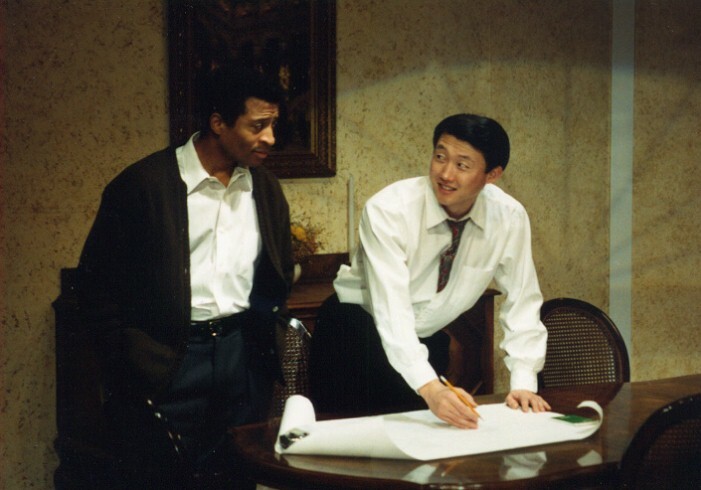 Jim Abbott as the Psychiatrist and Joseph Yang as the Architect in a scene from ReAct's The Dining Room. 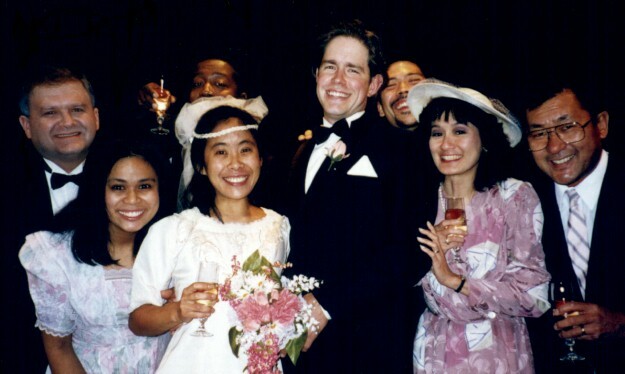 The cast during the wedding photo scene of ReAct's Prelude to a Kiss. 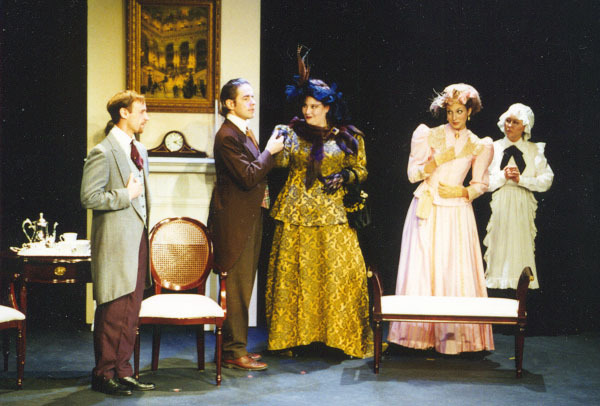 John Bianchi, T.J. Langley, Leslie Jean Warner, Caroline Blakeslee adn Alisa Cray in ReAct's The Importance of Being Earnest. Kathy Hsieh, Gigi Jhong and Colleen Parker in ReAct's Crimes of the Heart.